Approx 41cm or 16 inch square 100% cotton cushion cover in lilac light purple colour. Includes inner cushion fill. Select the font style you and embroidery text thread colour you prefer. 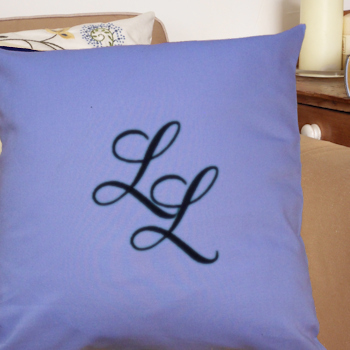 Enter from a single double or trio of initials or numbers to be personalised.